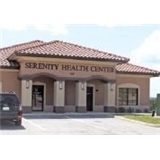 Serenity Health Center (Clermont) - Book Appointment Online! Serenity Health Center treats all aspects of psyhciatry including ADHD, Anxiety, Depression, Mood Disorders, Bipolar,and PTSD. We also have several therapist on staff. Our practice is proud to offer TMS (Trans-cranial Magnetic Stimulation). Which is currently the most innovative treatment in Depression.